Karen Hold is a Lead Trainer at The Design Gym. As a creative strategist, she helps clients innovate and adapt to a rapidly changing, competitive landscape. She uses a practical approach to everyday innovation and employs best practices from the design thinking toolkits of Jeanne Liedtka at the Darden School of Business, Stanford d.school, IDEO, and others. Prior to The Design Gym, Karen worked at Procter & Gamble as a brand marketer and was the founder of a publishing start-up that focused on the telecommunications and technology sectors with clients such as AT&T, Alcatel, Cisco, MCI, Nokia, and Nortel Networks. Currently, she is also the Director of DT:DC, a 4,000-member Design Thinking community in Washington, DC and an adjunct faculty member at the University of Maryland. 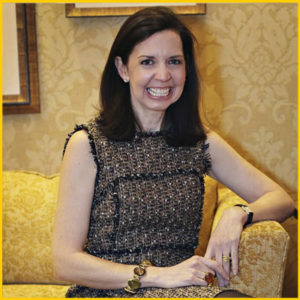 Karen is a graduate of Duke University and Georgetown’s McDonough Graduate School of Business.